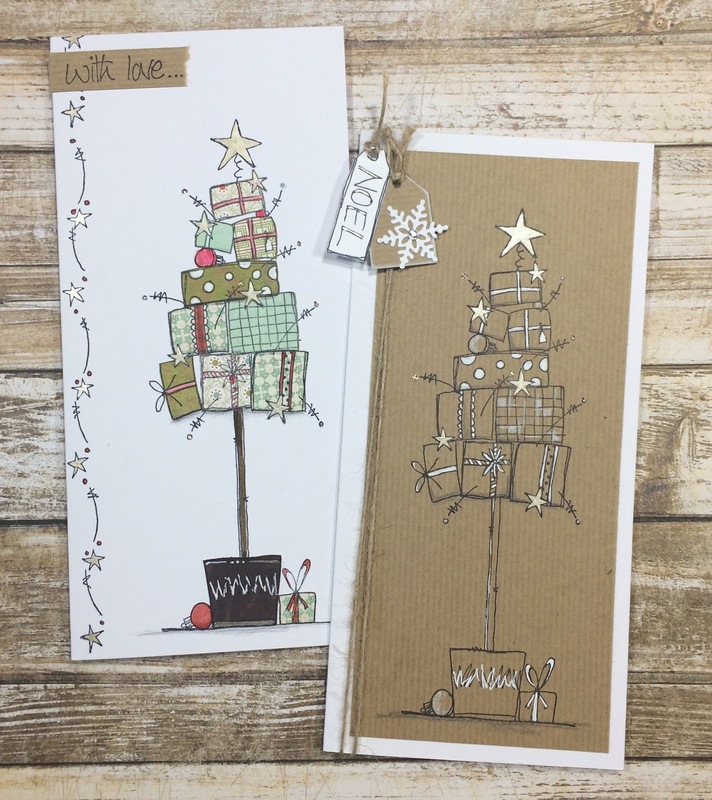 Jo Firth-Young always creates a range of awesome designs for Christmas. She has quite a sizeable range of Christmas stamps now! 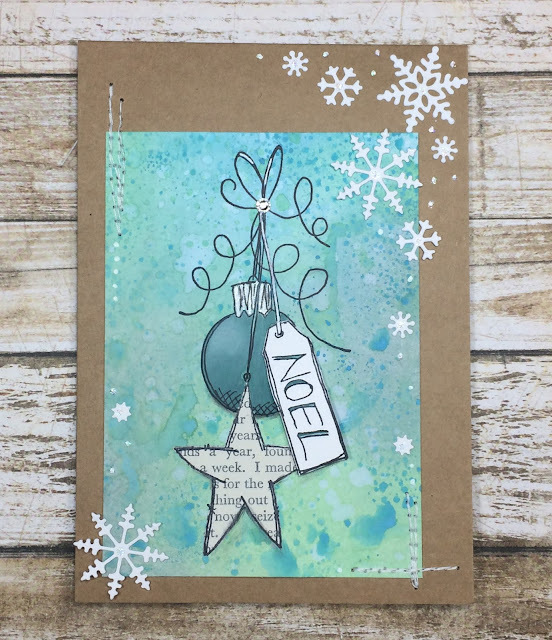 Her fresh style is so easy for creating quick or detailed cards, and I'm sure that the options possible with her stamps are a huge part of their appeal. Let's take a look at the 2017 release. 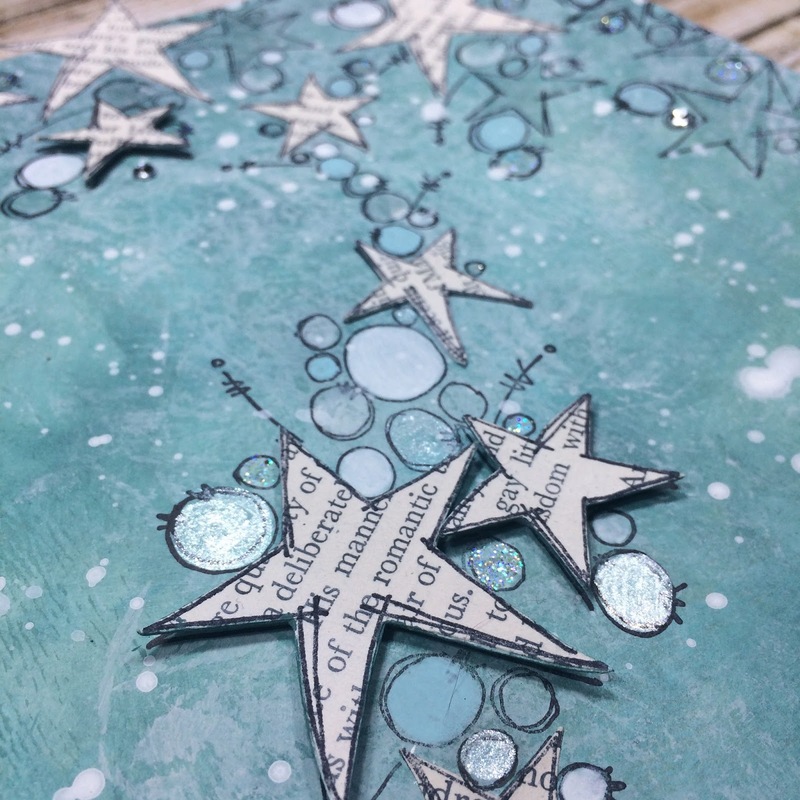 Over the next couple of blog posts Jo has Lauren Hatwell and Jennie Atkinson on board to assist with sharing ideas, so I'm sure you will enjoy their contrasting styles. 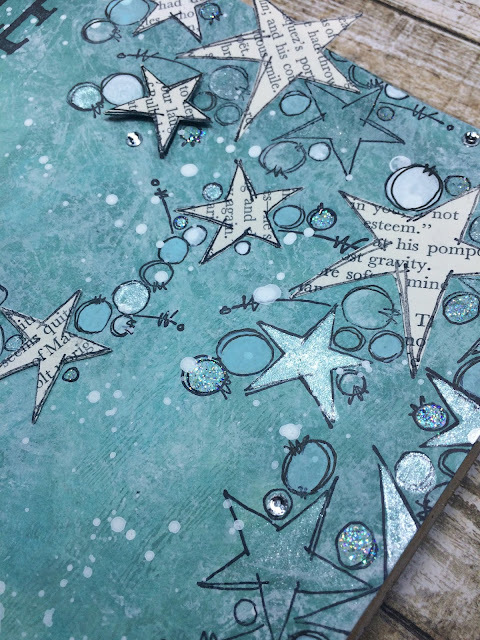 All these new products are available from your PaperArtsy stockist now. See details in the stockists list at the foot of this post. 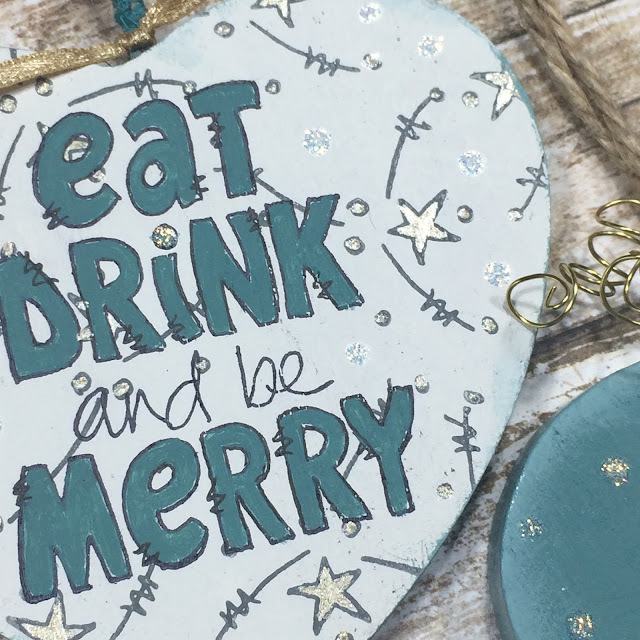 Christmas is fast approaching - but there's no need to panic (just yet!). 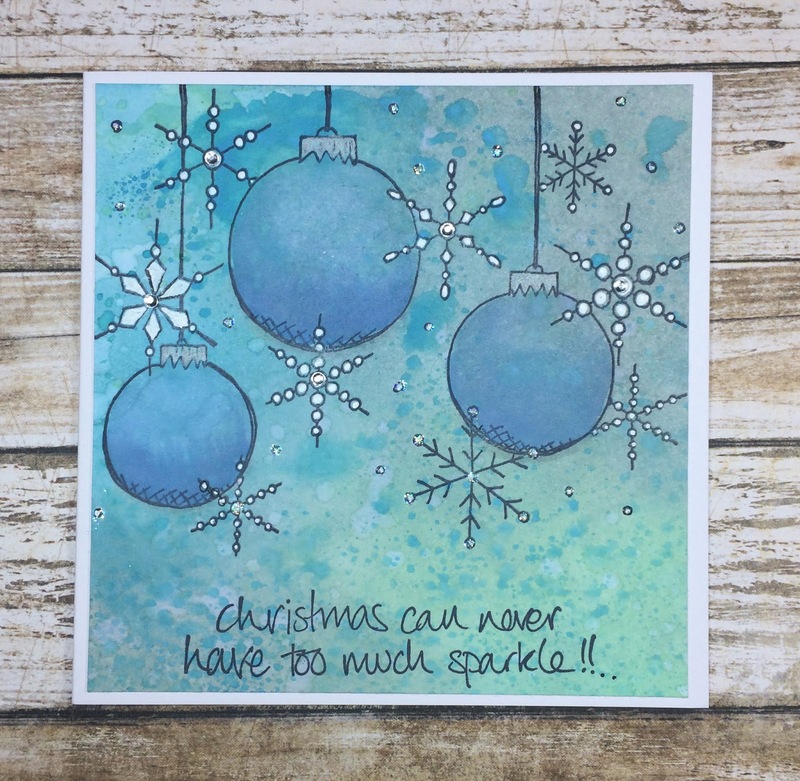 From conversations I've had with people that buy the JOFY range of stamps I get the impression that you reach for the stamps when making Christmas cards and so most of samples for this release are cards created specific to each of the new stamps sets. I'm so happy with this release (do I say that every year?!). 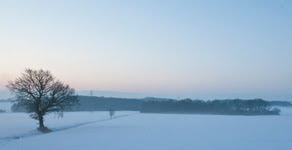 There is a snowman (of course! 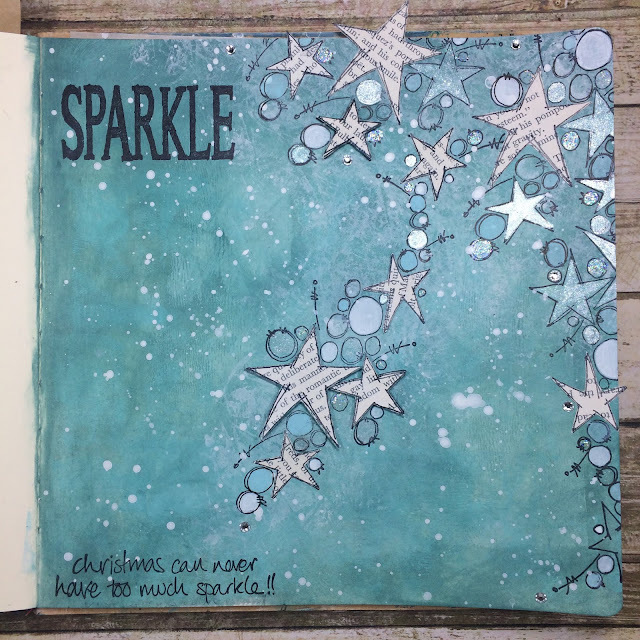 ), stars for a bit of sparkle (it's christmas - there has to sparkle! ), trees, nice bold sentiments and a gorgeous wreath. Let's take a look at each set in more detail, and some ideas with them to kick you into action! 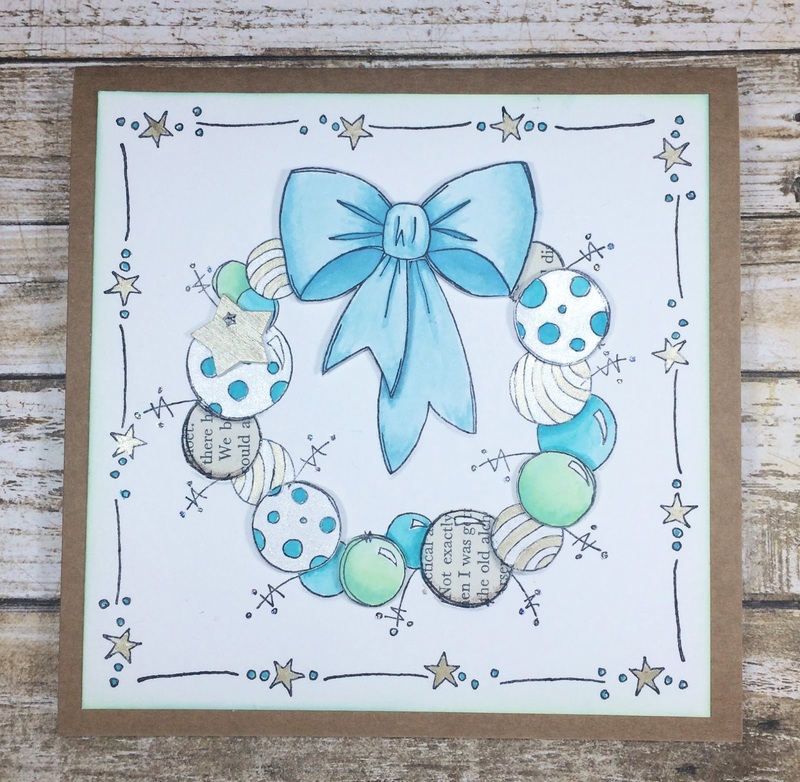 This stamp set has a BIG focal image in the shape of the wreath - its going to look great on cards or even cut out and hung on a tree. 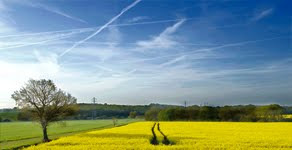 Three background images and nice bold sentiment to use on the outside or inside of a card. 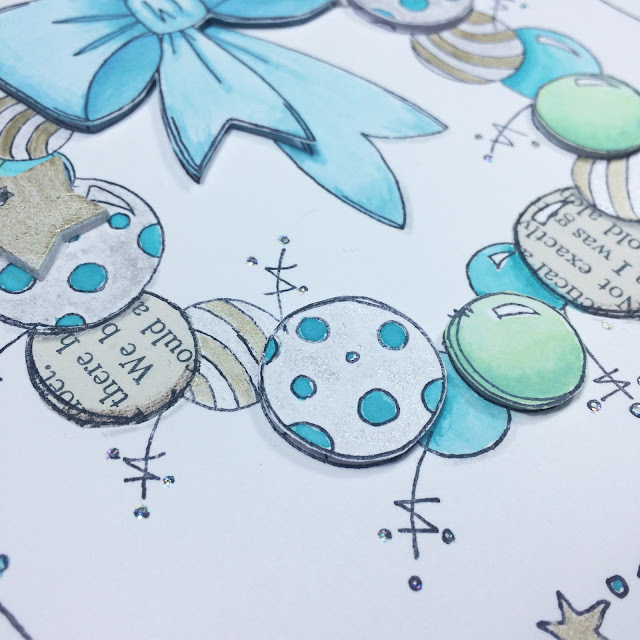 I designed this wreath to be quite bold but the spiky bits that stick out all around the wreath soften the lines slightly - and the little circles are perfect for bling placement! 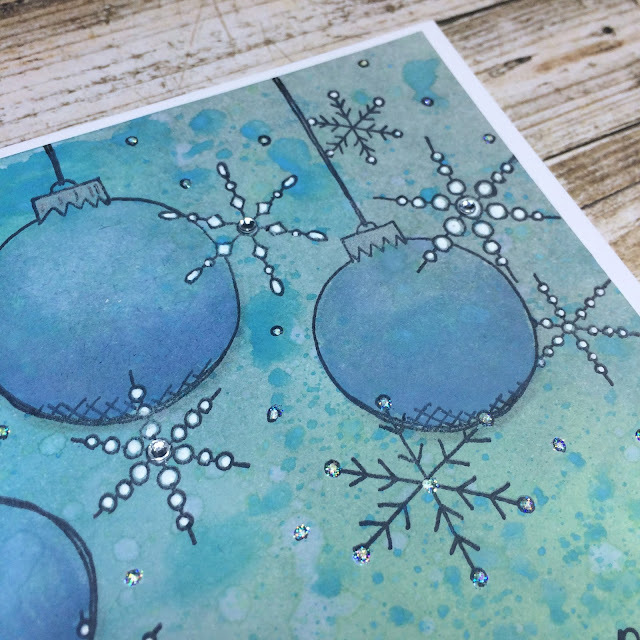 The solid line of the bauble edges make it easy to cut out and layer up some of the baubles to add a bit of dimension. Last Christmas I designed a parcel that didn't have anything 'Christmassy' on it which meant it could be used throughout the year and this wreath has been designed with the same theory in mind.... We could doodle onto the baubles or stamp onto patterned papers adapting it for all sorts of occasions. 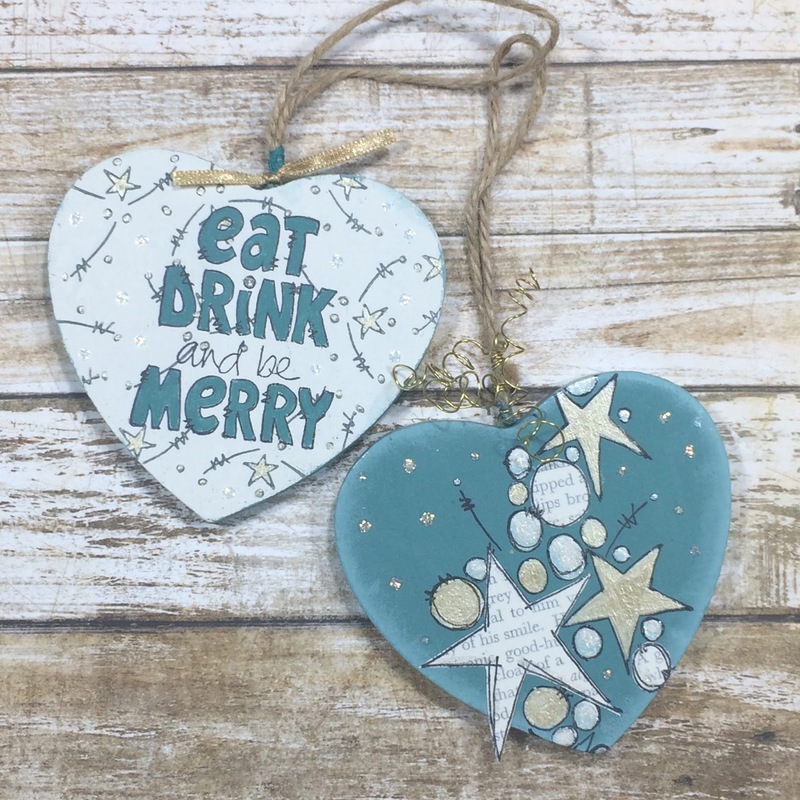 Its always nice to make a new ornament (or two) for the christmas tree and so I decorated 2 wood hearts with stamps from this stamp set and from JOFY56 and JOFY58. ... its nice to see the different sets work together. I can't tell you how happy the parcel tree makes me! lol It just makes me smile and I hope it makes you smile too! Another big sentiment and nice long border that will repeat well around a page. The parcels on this tree were just crying out to be paper pieced! 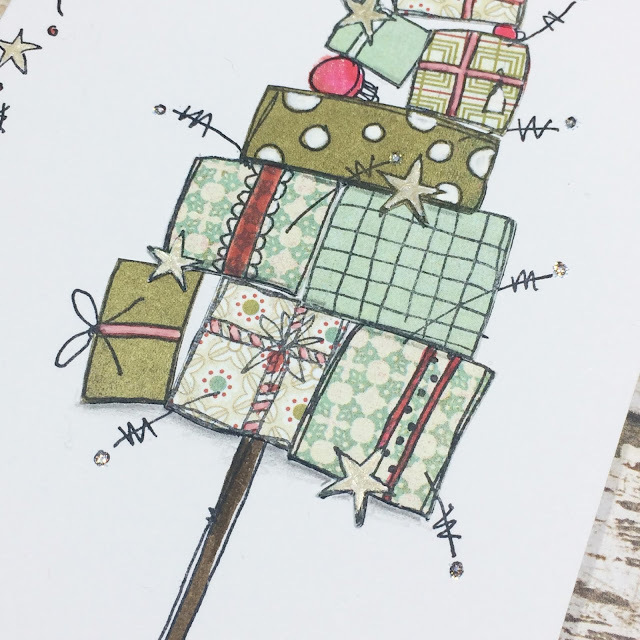 Once the tree is stamped on to several types of patterned paper the parcels could be carefully cut out and several trees assembled in one go - like a production line! 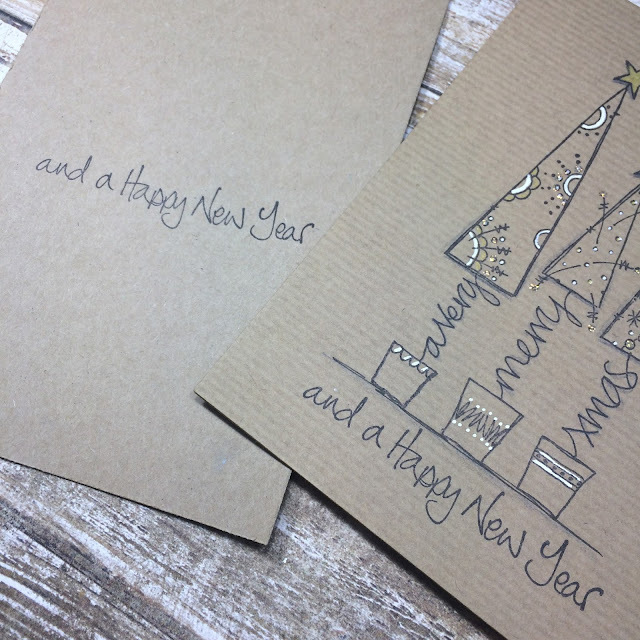 I created two cards: one paper pieced and one showing a more simple quick card. I really like the look of black and white on kraft card and the touches of gold adds to the festive feel. 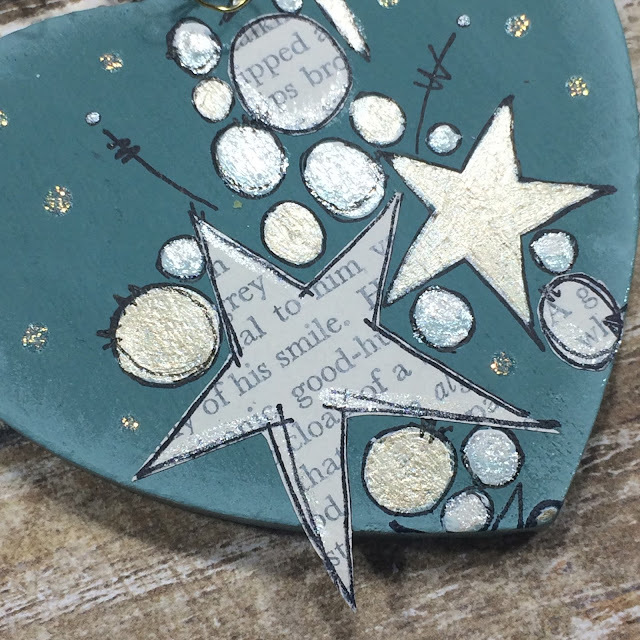 The 'noel' on the hanging tag is from the hanging ornament design on the same plate. 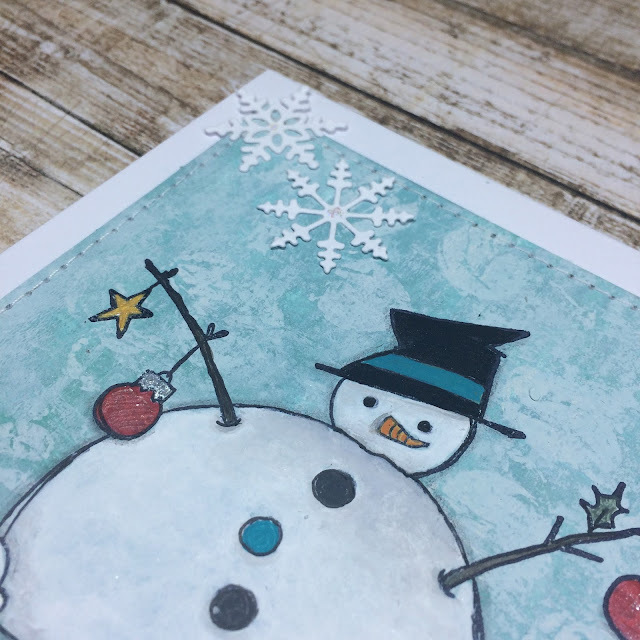 This is a great image for using on its own on a card - and it can be layered up by mounting one or several of the elements onto 3d foam as I've done in this sample. You could also use it on a gift tag and replace the word 'noel' with the recipients name. This stamp set was designed with journallers and card makers in mind. The star 'garland' is going to work equally well on cards (think 'congratulations') and a journal spread. The trees with word stems were designed with my doodles in mind - they can be coloured in all kinds of wonderful ways. Cute little trees with word stems! 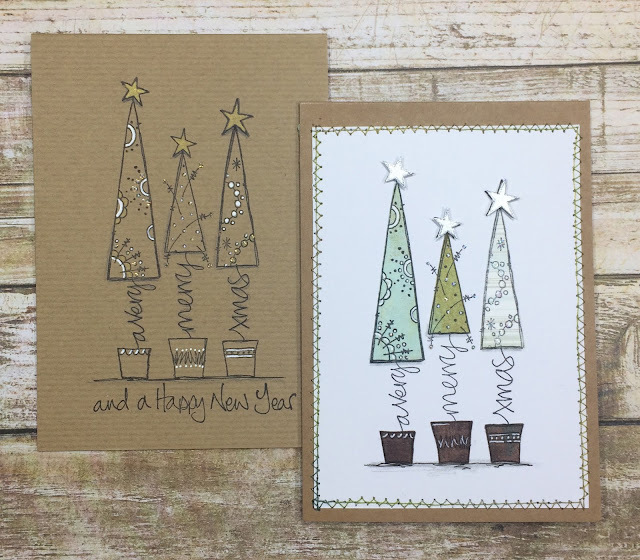 Following on from the cards I shared earlier here are two more cards along the same lines - one simple on kraft card and one paper pieced. 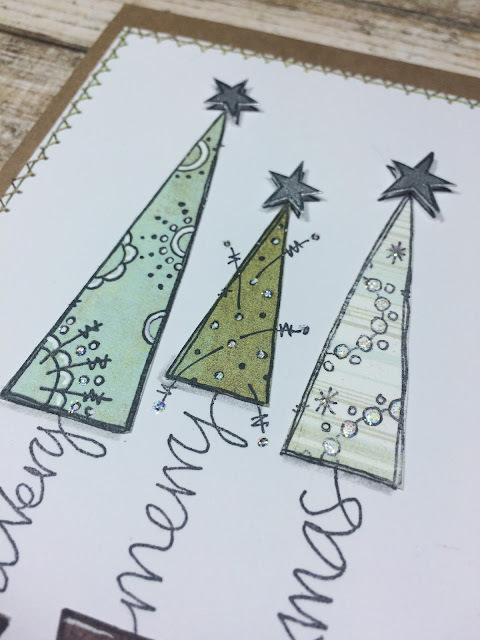 I designed the trees and coordinating sentiment to be separate so that it can be stamped under the trees (as on the kraft card) or inside the card as shown on the paper pieced sample. I've created this card by stamping onto a Distress Oxide masterboard but a quicker/simpler version could be created by stamping onto white (or black/navy) card and paper piecing the baubles using christmas paper.. 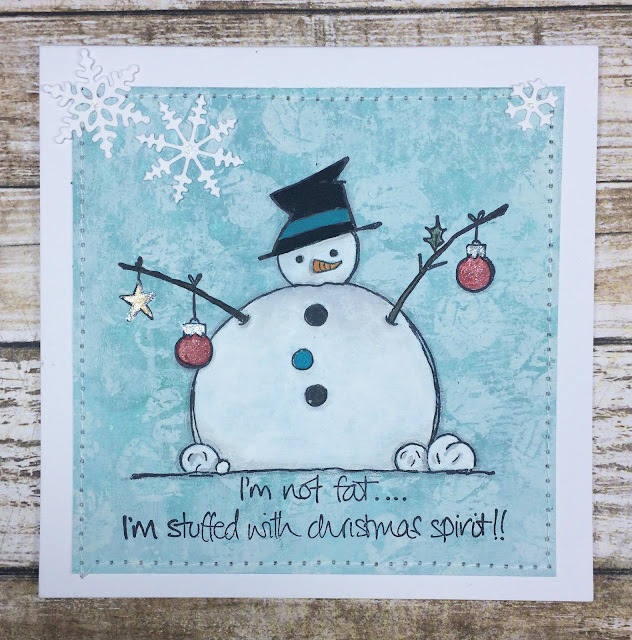 This is such a jolly snowman and in stark contrast to a previous snowman (JOFY39) who I affectionately named Twiggy as he was made from sticks and had no snow at all!! But this snowman has not overindulged on mince pies - no, no, no - he is fully embracing Christmas and is stuffed with Christmas spirit! ho ho ho!! I hope you're inspired to get cracking with your Christmas cards and Christmas crafting - according to my handy phone app as of today, 14th September, there are 101 days until Christmas! No need to panic, there is still plenty of time... I've really enjoyed creating with these stamps and I hope you do too! Over the next couple of days Lauren Hatwell and Jennie Atkinson will be showing you what they made with the stamps - fabulous creations - you are in for a treat! I'd like to thank them both for their hard work making gorgeous samples - such clever creatives!! THANK YOU!! 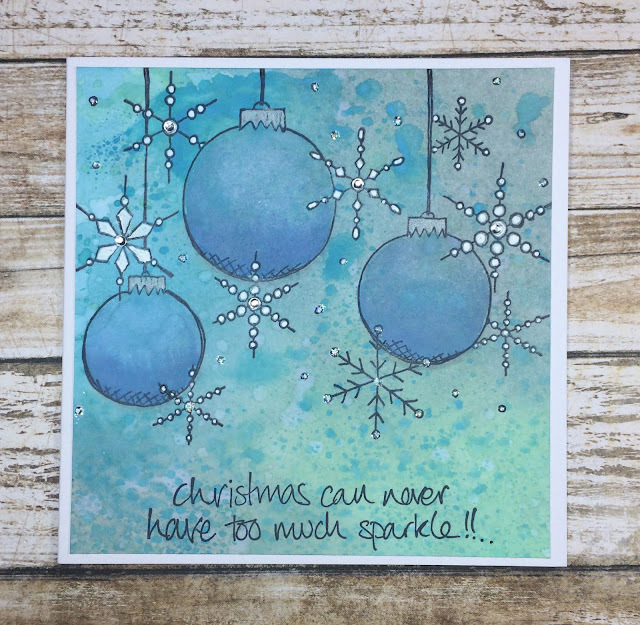 Meanwhile on my blog in the coming days I'll have some more samples using these new stamps so please pop on over for a visit - there won't be mince pies but there will be inspiration for you! oh, no!!! 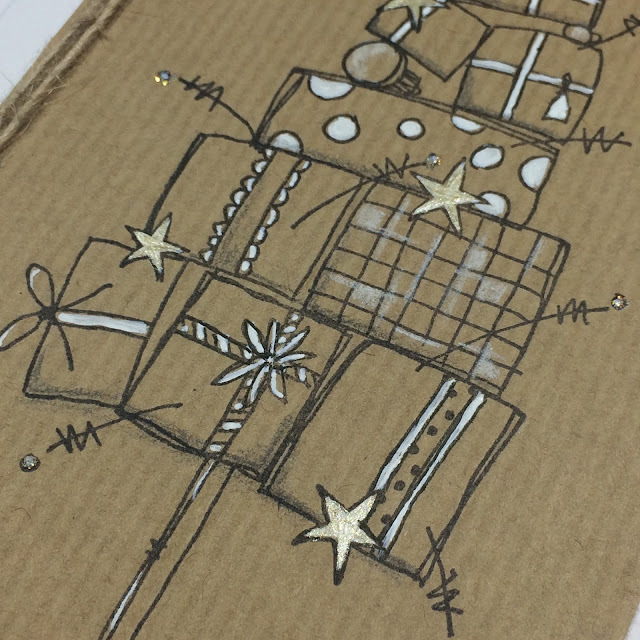 please don't let Jo design any more Christmas stamps.... I love these - especially the starry garland set.. Great samples, of course Jo - and I can't wait to see what fiendish twist Lauren puts on them! Love all of the samples, especially the Kraft card, really effective. Fab snowman, I think there should be a Jofy Snowman Club, surely there would be loads of members!! These new sets are gorgeous and the samples are stunning. Congrats, Jo!! oh Jo - totally amazing!! I love them!! I think this is my favourite JoFY Xmas release ever!!! Fabulous launch Jo. I always love your stamps. Great variety of cards. Love these! Such gorgeous samples - equally effective in colour and in kraft+white - magical! Fabulous new release - bravo! Gorgeous new stamps and fab samples. They are fantastic all 4 , I really , really love them , so difficult to make a choose!! what a talented lady you are!! These are amazing .... gorgeous samples too. 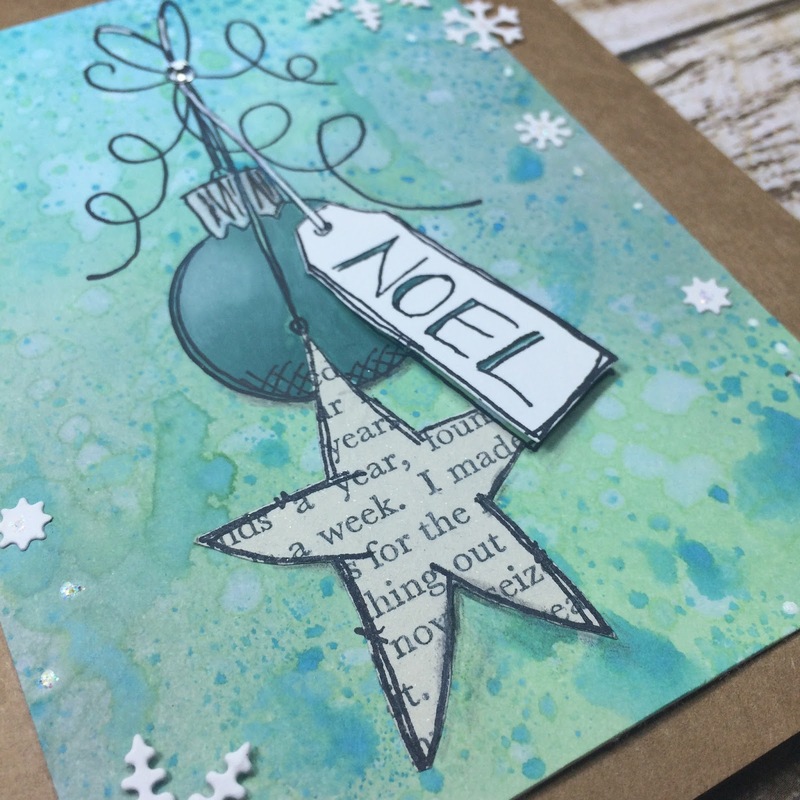 It wouldn't be a Christmas release without new JoFy images... More fun designs to play with! Oh dear - I can't have them all (and I want them all!). BUT which to choose??? I so love your stamps, and especially at Christmas. Thank you for the wonderful stamps, and of course your wonderful samples, they inspire me so much.